I am very excited to share this post with you all especially those of you who have pets at home. When ever I am at work or out and about I often wonder what Tula gets up to...does she really sleep the whole time while I am away or is she running around our apartment like crazy because I am not around. 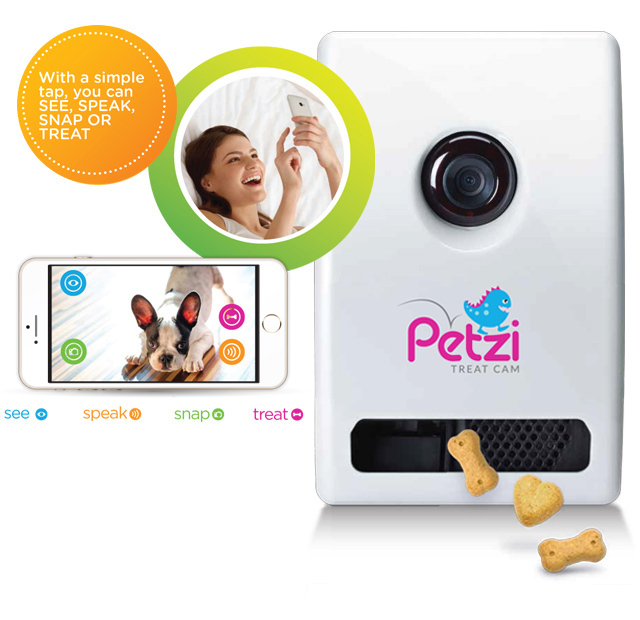 Well now you can with *Petzi your very own wifi supported treat camera where you can treat your pet from anywhere at anytime how cool is that! Petzi allows you to connect where ever you are in the world so you can take photos, speak or give treat to your pet at a touch of a button. 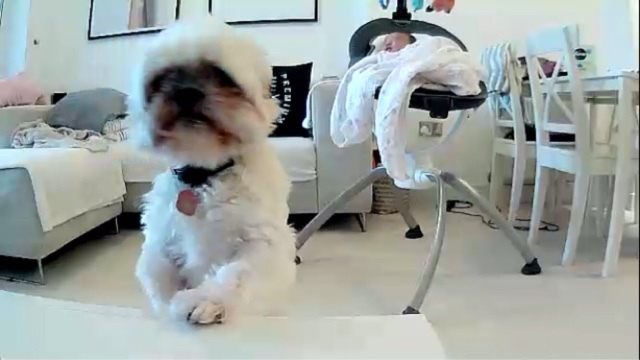 When we go on holiday I will be taking this over to my cousins where Tula stays and get this connected so we can still see her when we are away. 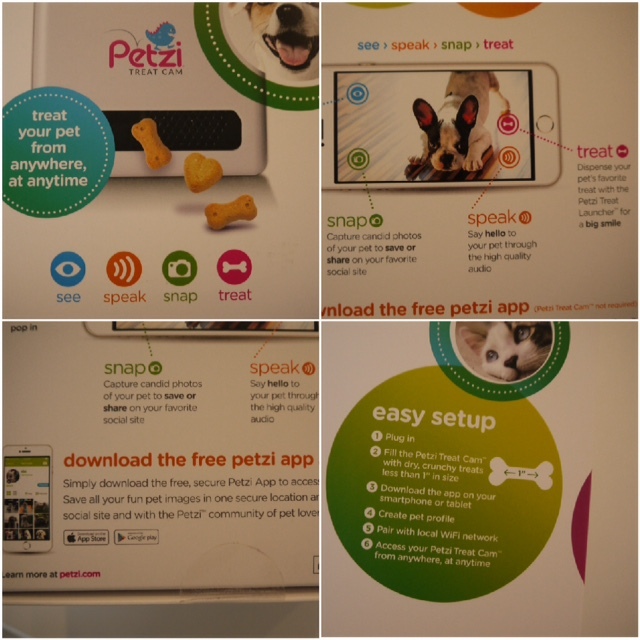 As shown in the photo above picture you can see, speak, snap and treat your pet through the Petzi App on Apple or Android and it's free to download. 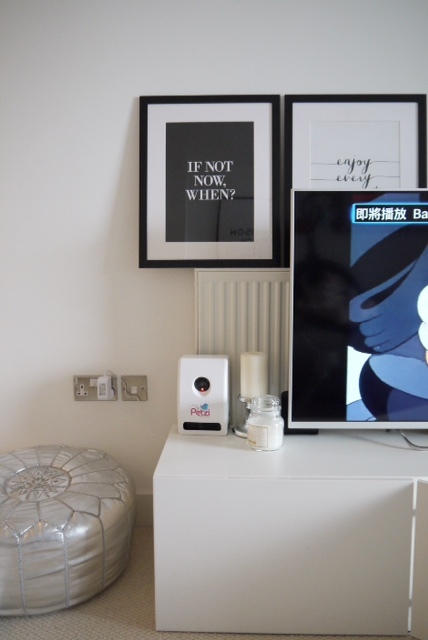 We put ours next to the TV because she's often sleeping on the sofa but you can put it anywhere in your home and even hang it up if you need to. In order for everything to work you do need good internet connection otherwise the viewing may not be as good or you may have trouble connecting. 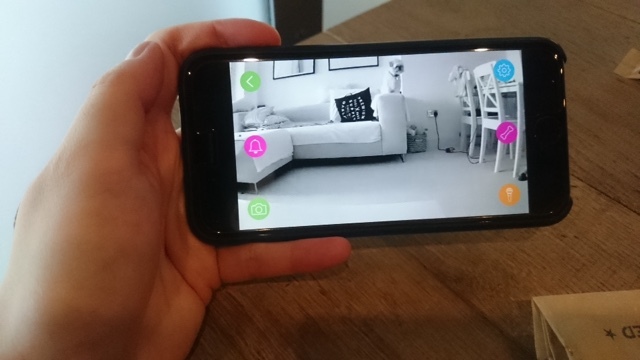 When we are out often I would click to open the app and turn on the camera straight away to see what she is doing. 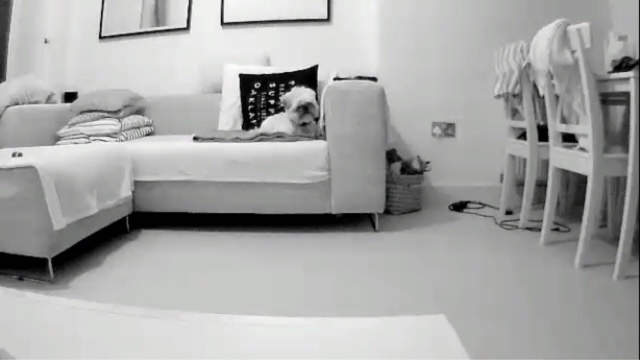 If I can't see her on the screen then there's an alarm icon I can press which will make a noise to call her over so she know's there are treats on the way. Sometimes I would call her through the microphone instead so she can hear me. When we first tried this she did get confused and I am sure she ended up walking over to the door thinking I had just come home! 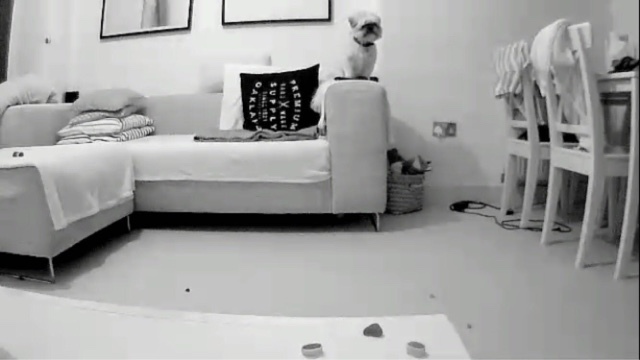 haha Soon as we call her over I will press the button to dispense the training size treats and yes it will shoot a few out which is rather funny to watch and Tula will be like a hoover eating them up quickly. 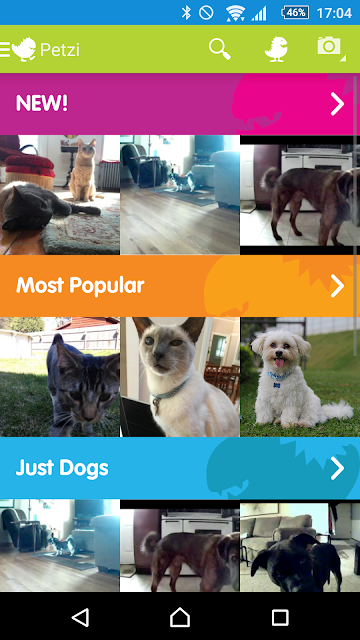 Below is the homepage of the app and it reminds me of instagram where you can load photos up, follow other users and like photos along with seeing what your pet is doing. It's so user friendly and simple to use you won't even need instructions. 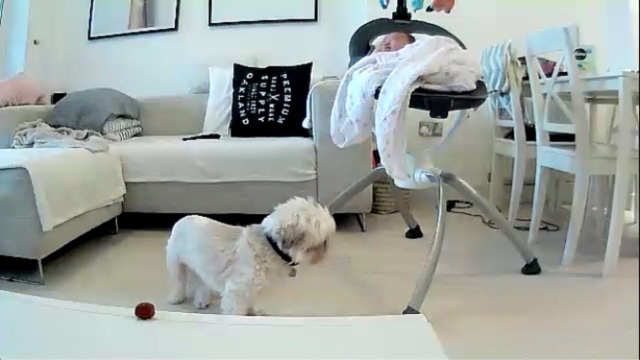 We absolutely love this camera especially my other half who also uses it to see our little one when he's at work. It's also got auto night vision YES night vision so even in the dark you can see what is going on and I have to say the quality of the picture is pretty decent. 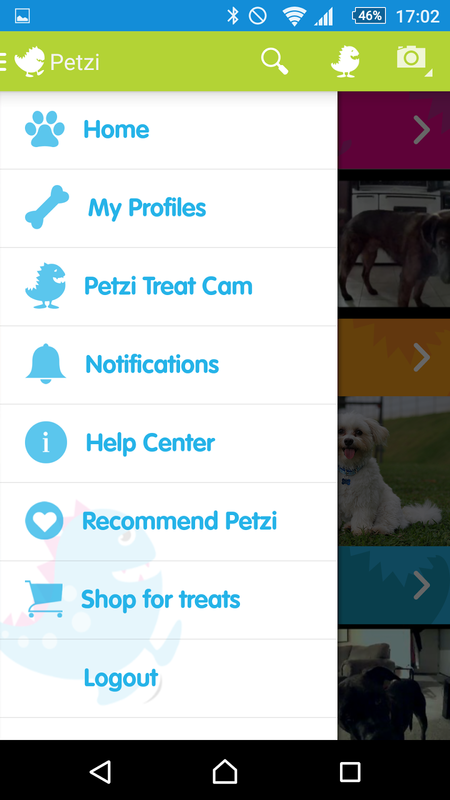 Having told friends and family about this amazing Petzi treat cam everyone was impressed such thing actually exists! You can buy your own one from Amazon UK / USA. Don't forget to stop by on their Facebook / Instagram / Twitter page. Petzi treat cam would make a great present for any cat / dog owner! 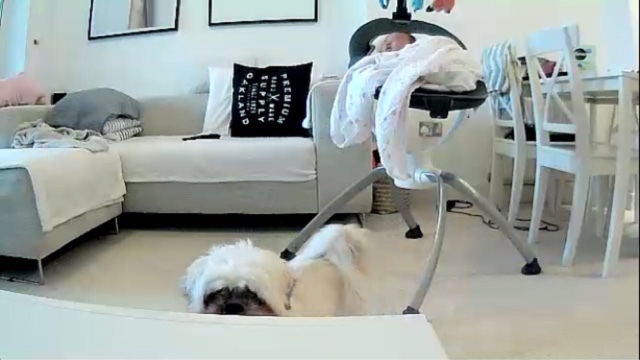 If you want to see what Tula gets up to during the day then you can follow her instagram Tulatula2009 here.